Gtmhub makes it easy to connect to your trello account and use your cards as a source for powerful insights. 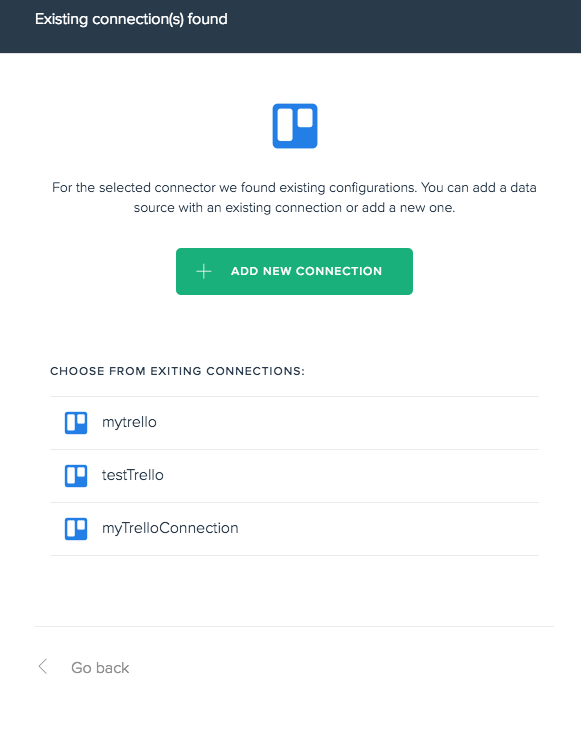 Then you have to specify the name of the connection so that you can later distinguish your Trello datasource especially if your company uses more than one Trello accounts. 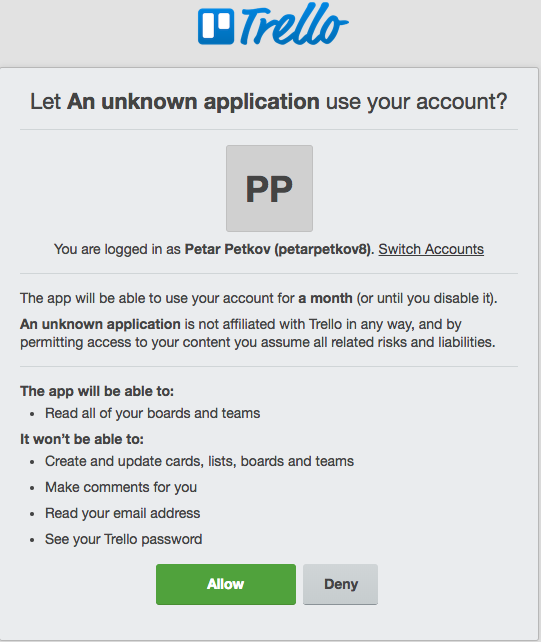 When you click Authenticate you will be redirected to trello.com to securely authenticate and choose the desired account you wish to sync data from. Please note that you will be able to see only the boards that are visible to the user you are signing in with. 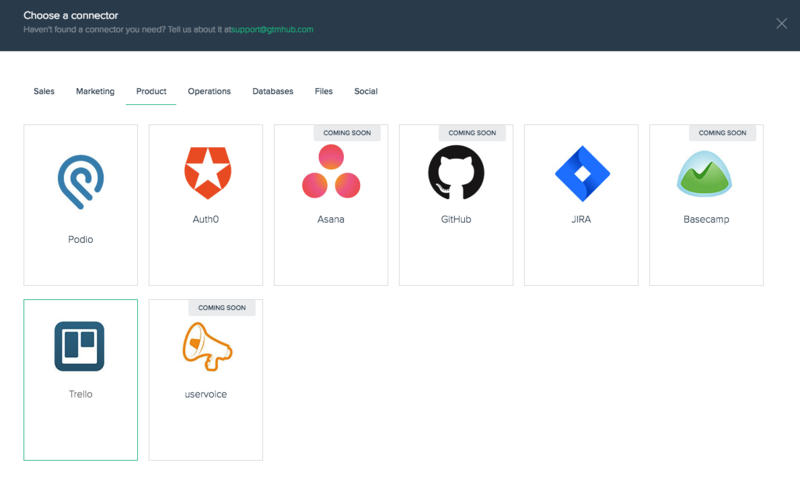 After authorizing Gtmhub for the specified account you will be redirected back to gtmhub.com to choose the entity you wish to sync. Now you are ready to write insights based on the data fetched from Trello. On how to write your first trello insights you might find the following article useful.